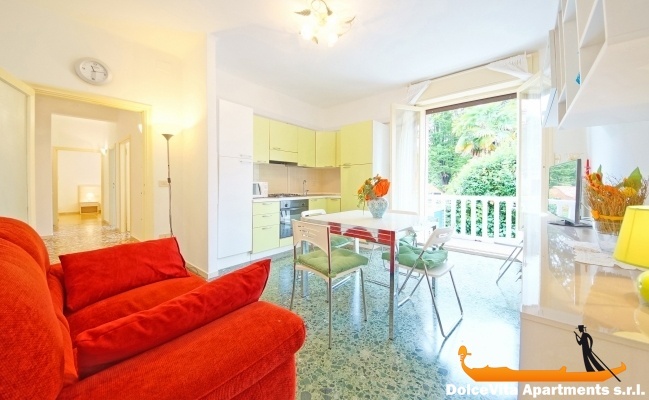 Apartment N. 194: It can accommodate up to 4 people, it is rented from 150 € per Night (not per person). 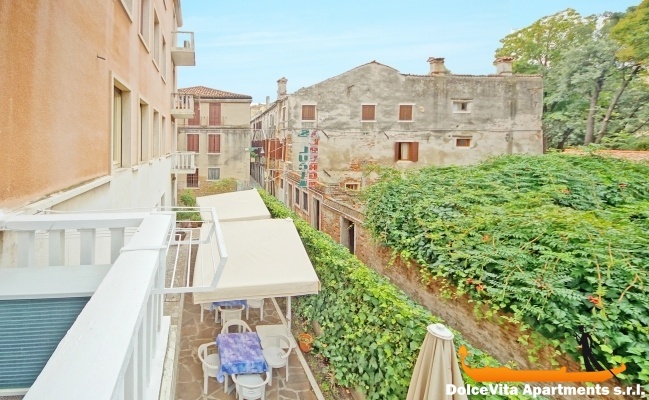 Venice Apartment Cannaregio with Terrace: Bright apartment with terrace in Cannaregio district, in the historical center of Venice, it consists of two bedrooms (one double and one twin), a large living area and bathroom with shower. It is on the first floor of a building with elevator. 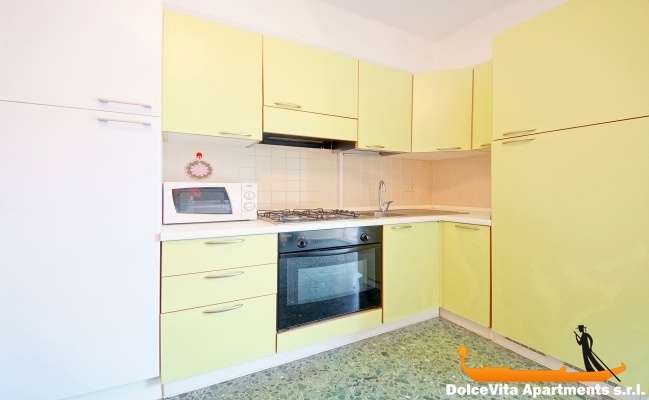 The kitchen is fully equipped and includes a fridge, oven, microwave and espresso machine. A cot is also available. Near “Parco Savorgnan”, this apartment is ideal for traveling both within the lagoon, and to other destinations. 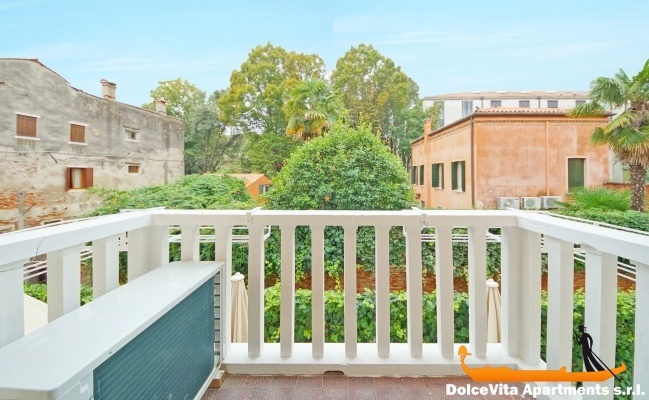 It is only 5 minutes walking from railway station “Venezia Santa Lucia” and from the waterbus-stop stops "Ferrovia A", "Ferrovia B" and "Ferrovia C" (the farthest is 350 meters from the apartment). 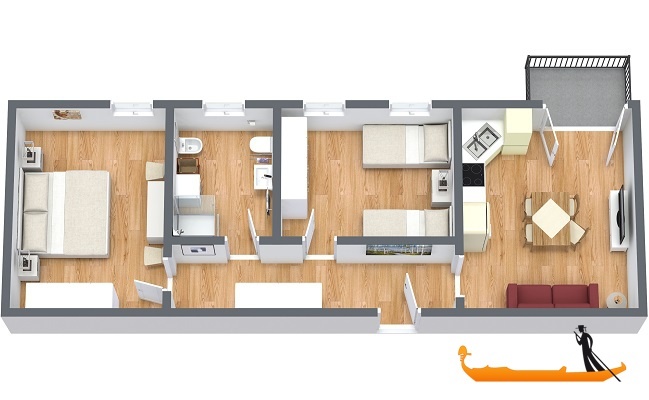 Among the amenities please note Wi-Fi, heating system, TV and air conditioning. Sheets, blankets and towels are provided. 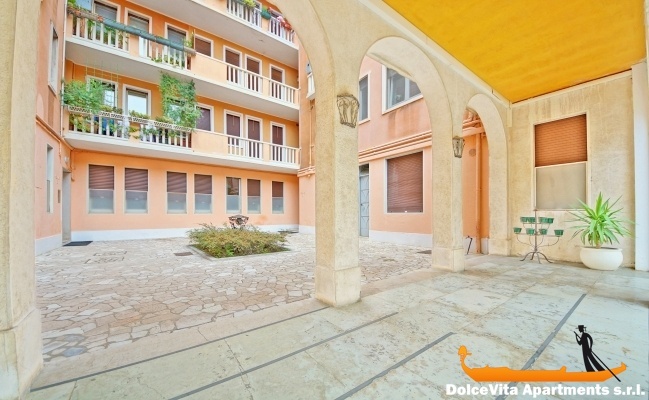 Good location, nice balcony, friendly welcome, comfortable and well equipped. Possible improvement: the cleanliness of the kitchen counter and dishes. 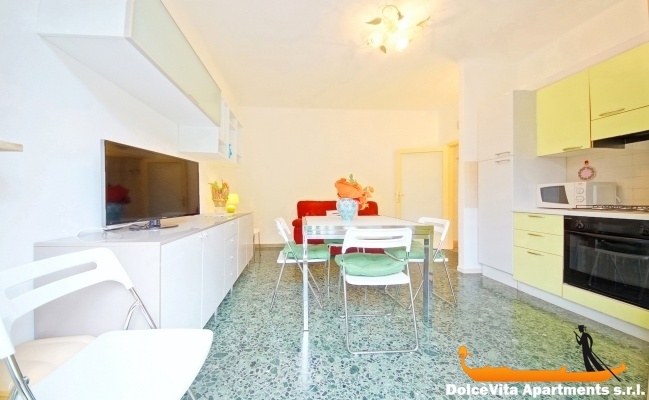 Recently furnished apartment, located a short distance from the main vaporetto stop. The owner's son, Lorenzo, was very kind. Some details of the apartment can be improved.